Purchase your Personal Reading by clicking on the donate button below. 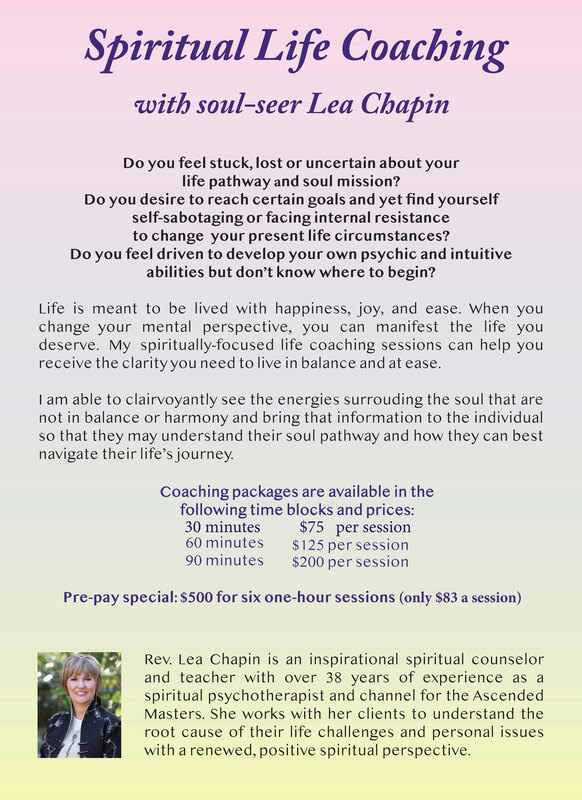 As a spiritual counselor and psychotherapist, Lea’s work as a seer gives her an ability to see the bigger picture of the soul and of one’s personal pathway. Lea is not a predictor of the future, but she is both an oracle and a seer. She is able to see clairvoyantly the energies and the frequencies surrounding the soul that are not in balance and in harmony. She is called simply a soul seer, this is her new term. She is an oracle of the Akashic Records and a soul seer. The information that Lea brings through is essentially from one’s own Akashic Records. Lea and her guides and spiritual team advisors work in conjunction with the Hall of Records to bring the information to the individuals so they may understand their soul pathway and how they can best navigate through the soul’s journey. At the most fundamental level, any and all questions are simply about the best usage of the lifetime, such as how they can use their skills, their spiritual gifts, and their human attributes to serve their own soul so they may move forward into their life’s mission with the greatest of ease. Other questions are directed about soul development, soul growth, soul purpose, life purpose, subjects of relationships, patterns, karma, and past lives, which all fall under the sub-heading of soul development. Each person can also present their individual challenges and receive a higher spiritual perspective and understanding from the Akashic records on how to proceed in their life. Ultimately, they will discover how to clear the limited beliefs, patterns, and energetic frequencies that prohibit the soul from returning to unity consciousness and oneness with All That Is. When seeking a reading from Lea, what types of questions should or shouldn’t you ask? It is best not to ask questions about predictions, timetables, and outcomes. It is not the responsibility of the seer to see into the future and give you a timeline. It may be there to some degree, but it really depends on the soul. What you choose day-to-day, in your belief systems, is how you will create your reality. It depends on the soul if your desired outcome is to be achieved. Lea’s readings are not psychic predictions, but soul development readings and personal growth readings. As the seer, or oracle, Lea is able to see the soul’s frequency energetically. Therefore, the best types of questions focus upon your soul development, such as how you can better yourself, make your life happier, and be proactive to co-create the life that you want. If you have a relationship problem, for example, how does that relationship play in the scheme of your soul purpose? If you are in a relationship that does not work, can you examine the patterns, the past lives, and the soul connection you have to them? You are there to learn from these individuals and emerge victoriously as you learn the life lessons involved and surrender, release, let go, and let God. If you have a career issue, there are again life lessons to be learned. And yet, at the same time, it is developing the soul and the personality to co-create within the human experience. Everything is about partnering and balance and living from the authentic self. For example, if you are in a job that you do not like, how are you creating karma? How are you continuing to create an imbalance within your life? If you have health issues, what is the greater meaning of these challenges? When you are physically ill, there is always a spiritual imbalance and always a lesson. If you are sick, can you examine the belief systems, the patterns, and the thoughtforms that are creating the illness? As you can see, everything is under soul development - it is why you are here as a human being. 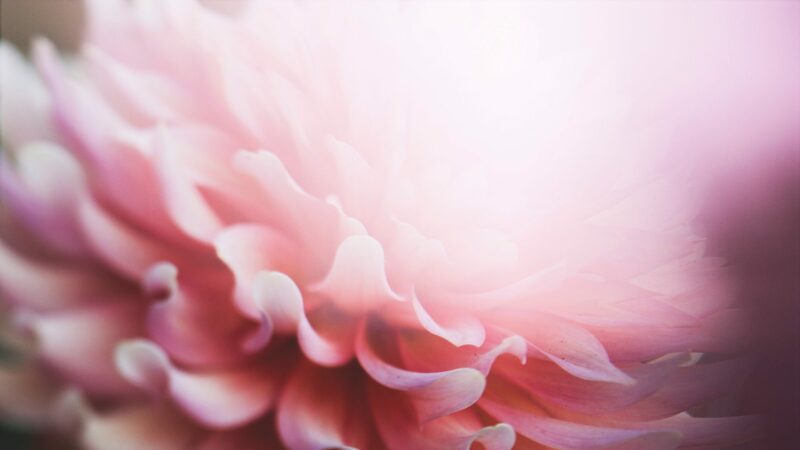 Whatever challenges you have are simply about the soul’s development, and Lea is able to tap into the Akashic Records with the help of her guides to help you understand how best to develop your soul. You may be wondering, what is the significance of reincarnation and past lives in the soul’s development? When you understand that the spirit and the soul are alive and well, and that your spirit is eternal, then there is accountability to yourself, to those around you, and to the world at large. It is preposterous to think that in one lifetime, anyone can accomplish all that the soul is here to master. For the soul’s journey is about returning to oneness and unity with the Great Creator. This is simply an opportunity for the soul to evolve. And every lifetime that you master your soul lessons, you will be able to ascend and move forward into the next level of growth. The individual life of a soul is thus honored for all that it has accomplished and received in one lifetime. And so when you come to seek guidance again, it is about your soul growth and how you can assist yourself to move past your own mental limitations. It is all about finding balance and moving forward into your life stream with peace, joy, happiness, balance, harmony, and freedom. If you are struggling in any area, you are off balance. Mentally, emotionally, physically, or financially, this is all about balance. Everything has to be in balance for the soul to ascend and return back to unity consciousness with the Great Creator. So it is a dance. It is a soul dancing with the Divine. It can be a challenge, or it can be joyful, depending on your beliefs and how you wish to move through your soul’s challenges.